One of my favorite episodes ever! The cast all given their own time. Hoagie's mistake with making father supreme leader, etc. Plus it focuses on Rachel! That is one brave girl eating all that broccoli. I gotta say this is one of my favourites because it gives rachel's character a shining spotlight AND it even develops her as a leader! 1. The episode itself. The concept of tag to decide who becomes Supreme Leader is very creative. Some of the favorite moments include everyone tagging Numbuh 13 instead of avoiding him and how Tommy's action at the end of "Operation: G.R.A.D.U.A.T.E.S." only causes Father to extend his plan. Every moment between Nigel and Rachel is adorable and it makes me like the idea of the two being together. 2. The enormous impact it made on the KND fanbase as a whole, in my opinion. Before this episode is released, not too many people wanted to have Rachel (aka Numbuh 362) as the main character in a fanfic. Even though the movie featured more time in which we get to see her compared to the episodes before it, it still didn't convince the people to make a lot of fanart or fanfiction about her. I'm going to assume that this episode finally gave people the motivation to write fanfics and draw fanart on her. But there is still one thing that baffles me: Why did the artists of the show change her Supreme Leader attire in the movie so that she will use that attire from now on? I think the reason why they changed her outfit is because she was working up in ranks. Her spy outfit to supreme leader outfit. Doesn't she wear that jumpsuit from graduates under her hoodie? 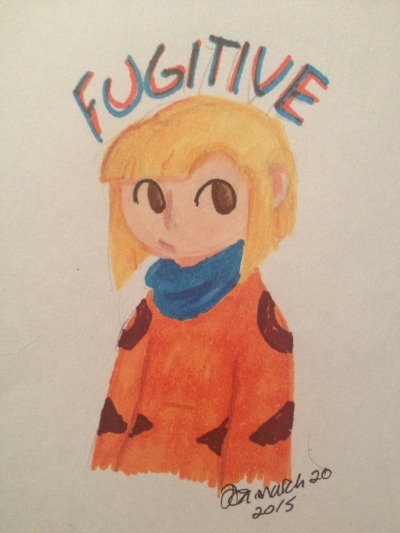 I like to think her tiger print sweater she wears outside the Knd and just throws it over her jumpsuit. It can get cold in space. They probably changed her attire to show that she has indeed kind of been out of the fighting loop for a while? Though I suppose later on she does get back into fighting, probably practicing so she can still fight off foes with her own strength when needed. Or you know, what Paige said. I think one of the best things that came from this episode was the further development of Numbuh 362's character, aside from her just being the Supreme Leader. And then the entire KND fan base exploded with supporters of 1x362. Judge me if you will, but this moment changed my life and made me secretly support the "Illegal Hotness" that is Fatherx362 (One of my favorite crack pairings). That and scrolling around through the former role-play on the other KND Forum that is Operation MARRIED LIFE and Operation MARRIED LIFE 2. Oh I just loved the tagging segment! Just watching every operative in every location run and try to get each other in this global game of tag was just wonderful. One of my favorite moments was watching Numbuh 13 get tagged and then a whole group of operatives just tackles him because they'd rather get tagged than let him become Supreme Leader. ^ and then they claimed the person ON TOP as it..
Tag became a lot more of a serious game after I watched this episode. I remember once me and my brother played tag cause we were bored and he told me he had never seen me run as fast as I did then. One of my favorite moments definitely is how Abby tagged Hoagie. And when Nigel and Rachel were battling those copies of Father! I dont understand how Rachel says shes out of practice, girl fights like a boss! I agree with all of the things mentioned above. This was also an episode where I started to become curious about Father's past because of the way he reacted to the Broccoli after Numbuh 362 threatened to make him eat it. Favourite Character: Kuki Sanban & Rachel McKenzie. Favourite Sector: Sector Z (Before they were delightfulized). Favourite Episode: Operation: B.E.A.C.H & Operation: T.R.I.P (Episode 24). Favourite ships: Wally/Kuki & Rachel/Chad & Fanny/Patton. My favorite part was when Rachel was like "Running the KND is an all-consuming job that takes strength, patience and willingness to share your candy with everyone and I feel I have exhausted these very things." and as she continued she quickly tagged Fanny and ran away. I died of laughter at that part. Everyone: AAAAAHHHHH RUNN 86 IS IT!!! And I do love how everyone would rather they be supreme leader than Numbuh 13.
i also love Numbuh 3's bit, in HIPPIE HOP.